I’m a treehugger. I have been since my family lived in California when I was in elementary school (4th – 6th grades) in the early 80s. I distinctly remember sitting in an assembly, learning about the importance of conserving water. I remember my dad showing us how to use the crusher in the garage so we could recycle our cans. I’ve held on to those lessons and continue to seek out ways to reuse, recycle and renew. Denim Collection Turns Blue to Green (April 15-22): Terranea’s Pointe Discovery will be collecting donated denim from guests throughout Earth Week to help support Cotton. From Blue to Green®. Through the Cotton. From Blue to Green® program, denim is collected and converted to UltraTouch Denim Insulation then used in the building of homes in communities in need. UltraTouch Denim Insulation is environmentally safe and offers exceptional acoustic and thermal performance without carcinogenic warnings, formaldehyde, or chemical irritants. Reduce, Reuse, Redecorate (April 15-22): Daily crafting classes will show guests how to turn trash into a true treasure. By using all repurposed and recycled materials, each artist will design their own masterpiece to take home. Seed Ornaments (April 15-22): Terranea’s shopping boutiques provide guests with the opportunity to give back year-round, offering products from companies such as Della, TOMS, and Pura Vida that contribute a portion of the proceeds from sales to charitable causes and environmental efforts. During Earth Week, Terranea’s activity concierge Pointe Discovery will be gifting customers plantable seed ornaments with each purchase, to encourage individuals to beautify the earth and plant wildflowers in their hometowns. Energy Conservation (April 15): Lighting throughout the resort will be turned off or dimmed to the lowest possible setting. Saving electricity doesn’t just save money, it also supports the environment by reducing pollution, and guests are invited to do the same. Walk, Bike or Share-a-Ride Day (April 17): Guests are encouraged to explore Terranea and the Rancho Palos Verdes area via mass transit and carpooling. On April 17, guests who carpool to the resort can validate their parking tickets at Pointe Discovery for complimentary valet parking. Less driving means fewer emissions and every gallon of gas saved keeps 20 pounds of carbon dioxide out of the atmosphere. Pelican Release (April 20): In partnership with the International Bird Rescue, Terranea will release a rehabilitated pelican into the wild at 10:00 a.m. at the Terranea Beach Cove. Guests are invited to come and view the release and learn more about wildlife bird rescues. The organization operates two year-round aquatic bird rescue centers in California, which care for over 5,000 birds every year, and has led oiled wildlife rescue efforts in more than 200 oil spills in more than a dozen countries. Through April, Terranea offers a new Whale Watching Package, including a whale watching harbor cruise for two, two pairs of binoculars and accommodations. Rates start at $560/night (promo code WHALES). 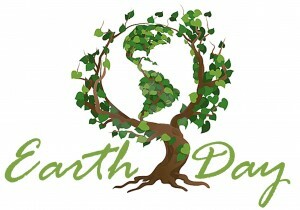 This Earth Week, go green!